Preparing students for the jobs and careers of the future is a crucial task of any educational system. This can be a challenge in an environment in which many of the jobs that will exist in the near future haven’t yet been created – and in some cases, not yet even dreamed of. How do we prepare students for a future that is constantly unfolding? Many feel the answer lies in STEM education – Science, Technology, Engineering, and Math. These fields have been identified as having abundant opportunities in the coming decades. But the real importance of focusing on these disciplines is as a way of teaching critical thinking, problem solving, and invention - a way of preparing students for a changing world by providing the skills to be flexible, open-minded, and creative. STEM has been a growing focus in the world of education at all levels for more than a decade and a half. But, just as in many movements, people from underrepresented communities are often the last to feel the benefits. According to the National Science Board (2016) Science and Engineering Indicators, African American, Pacific Islander/Native Hawaiian, Latino/Hispanic, and Native American/Alaskan Native students continue to be underrepresented in STEM disciplines. Nationally, 41% of all 18–24 year olds are underrepresented minorities (URM), however URM graduates earn just under 29% of the bachelor’s degrees awarded in STEM, and even fewer PhD degrees at just under 21%. At Western Oregon University (WOU), enrollment data for the past 6 years have indicated that fields like Math, Chemistry, Earth Science, and Computer Science are severely underrepresented in student diversity. WOU is taking definitive steps to close that gap by recruiting and supporting underrepresented minority students who want to pursue degrees in a STEM field. In partnership with Oregon State University, and funded through the Oregon Higher Education Coordinating Commission - Alliance for Minority Participation grant (HECC – OR AMP), WOU has created the STEM Scholars Center for Diversity and Excellence. This comprehensive program has put in place an effective series of supports for first-year and continuing URM students who are working toward degrees in one of the STEM disciplines offered. The program started two weeks before the beginning of the 2016 academic year with the STEM Bridge Program, in which 14 incoming students “got to experience all the different [STEM] disciplines we offer majors in,” says Patty Flatt, Ph.D., Associate Professor of Chemistry and Director of the program. Six upper-division student mentors joined WOU STEM faculty to introduce these new students to the basic requirements for success. The ten-day program was filled with fieldtrips, group activities, and an introduction to the various majors - with plenty of time provided to get to know each other and lay the foundation for support from peers and faculty. As the academic year moves on, all URM STEM students at WOU have been invited to join the program, which continued with additional field trips, sessions on study skills, and help in finding research internships for the Spring Term. As many as 70 students showed up at a recent program gathering. They will also be invited to participate in sessions that introduce them to technical communication – how to write like a scientist, and how to present like a scientist. Many of these students will get a chance to present their own research in Poster Sessions at the Oregon Alliance for Minority Participation - Center for Excellence annual conference on the OSU campus. Throughout the year, WOU STEM faculty will continue to stay involved in high school outreach. WOU currently partners with the Willamette Education Service District (WESD) and 40 school districts in the mid-Willamette Valley and northwestern Oregon in an early-college-in-high-school program called the Willamette Promise (WP). The WP includes STEM coursework in Math, Chemistry, Biology, and Computer Science. The long-term goal for the HECC – OR AMP Program is to expand to all Oregon Public Universities and community colleges, creating a true statewide alliance. This alliance could serve as a national model for collaboration and partnership in supporting the success of minority and underrepresented STEM students across the country. The mentors are growing, too. Dr. Flatt noticed an unexpected by-product of the program. “The mentors are also growing, as they teach and support these new students,” she explained. “They seem more engaged.” The hope is that students from the first group will become the mentors for the next group of in-coming students next year. “Several from this cohort have already expressed an interest,” Dr. Flatt continued, with a broad smile on her face. 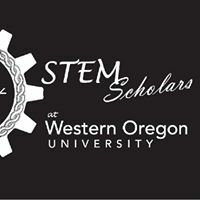 WOU STEM faculty, mentors, and first-year URM students are helping create a solid foundation to move this program forward and to be sure that all students benefit from the unique skills for future success that STEM education can provide. Click here for more information about the STEM Scholars Center for Diversity and Excellence.